We use Buzzsprout to host the Foamcast Radio podcast, and we have from the very beginning. Why? It's simple to use and set up, and it's free for up to 2 hours of uploads every month. Users who need more storage or want their entire back catalog of episodes stored can upgrade to an inexpensive paid plan, and downgrade at any time if they decide they don't need the paid plan anymore. 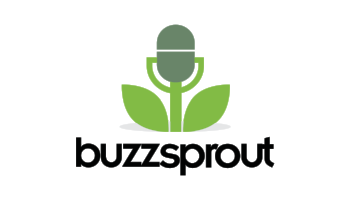 Buzzsprout makes it easy to get your podcast on Apple, Google, TuneIn, Stitcher, Spotify and more, and they make it easy to move to Buzzsprout, even if your podcast is already hosted somewhere else. Start using Buzzsprout for FREE right away, and receive a $20 Amazon gift card if you decide to upgrade to a paid plan!